If there’s one thing that brightens us up at TG.com, it’s a not-real-render-that-looks-real. 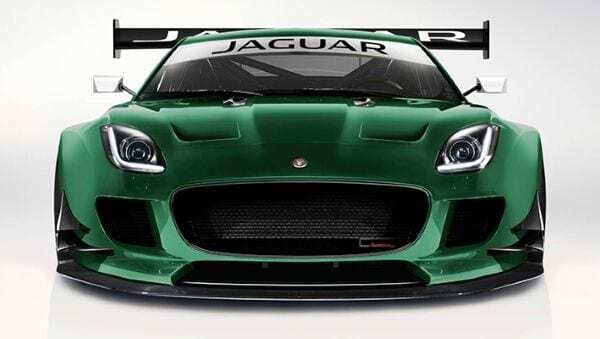 Like this jaw-slackening Jaguar F-Type GT3. It’s not the work of Jaguar, nor even its Special Vehicle Operations division. No, it’s the rather handy electronic felt tip wielding of motorsport photographer James Gibson. What would power an F-Type GT3? We imagine the screaming supercharged 5-litre V8 from the hardest cored F-Type R would be a good bet, especially given the ludicrously lovely noise it would bounce off pit walls. Though much luxury would need to be scalloped out of its snug interior to make it light enough to be fighting fit on the track. It’s all irrelevant for now of course, but hopefully the relevant bean-counters at JLR HQ have taken one look at that floor-scraping splitter, ginormous spoiler and wonderful little dive plans and collectively roared “LET’S DO IT”. There’s been an XK GT3 in its past, so we’re staying optimistic. We’ll leave the last word to talented scribbler James: “A good friend of mine suggested this next idea and I can’t think of anyone with a sniff of petrol in their veins that wouldn’t want this to happen.